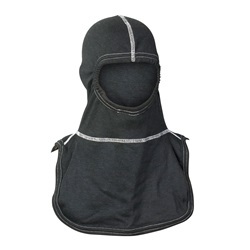 Our PAC II offers the most square inches of protection and is our most popular NFPA approved hood style. 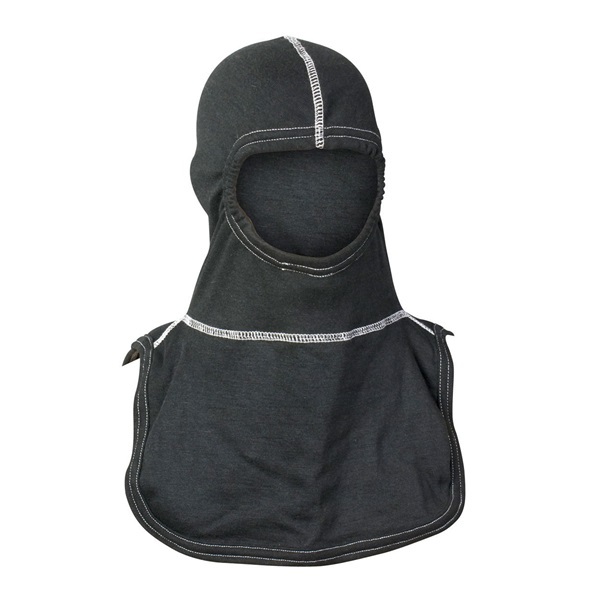 The notched shoulder and longer length allows for a proper fit and added protection across the chest. The longer length (3 inches longer than NFPA requires) assures that this hood will stay tucked inside other required equipment. 4th generation of advanced CARBON technology 3 elements need for fire: Oxygen, Heat, and Fuel Without one element, a fire cannot start or continue When exposed to flame, CarbonKnight fibers expand, creating an Oxygen starved environment so fire cannot continue. Material is self extinguishing Inherently flame resistant (no harsh chemical treatments) Odor neutralizing, Anti-Static, Low Heat Conductivity Maintains performance values after laundering Finished to minimize shrinkage Rib knit allows for stretch and shape retention Majestic Fire Apparel is a vertical manufacturer Knitting our own fire retardant materials for over 17 years We knit, cut, sew, and ship - all from our location in PA MADE IN USA CERTIFICATION: NFPA 1971-2013, UL Certified. Meets or exceeds Cal/OSHA Standards.